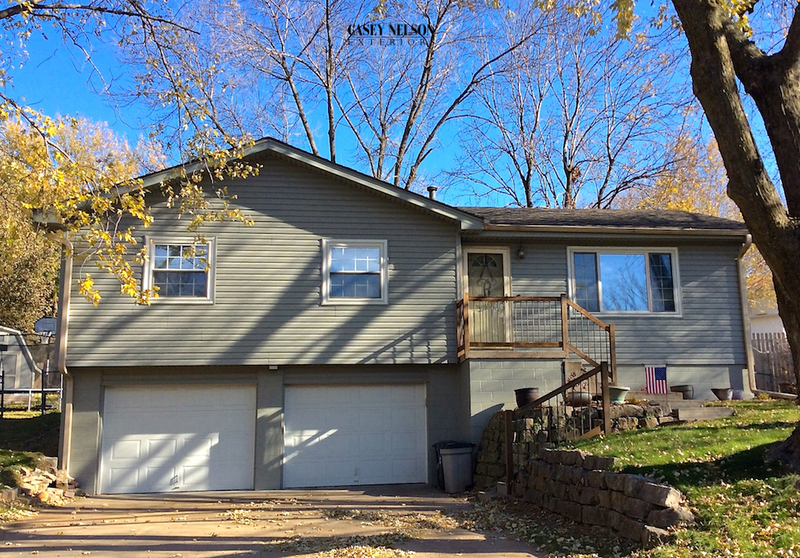 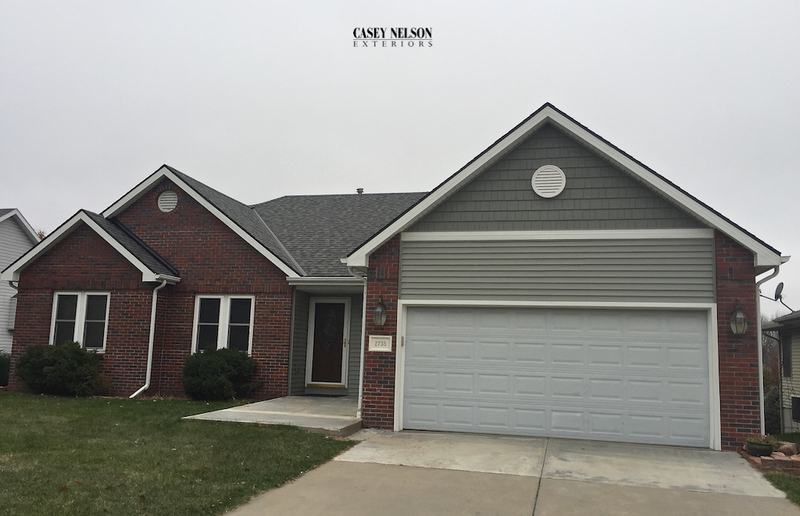 This entry was posted in Recent Projects and tagged Siding Contractor Lincoln NE, Siding Contractor Omaha NE, Siding Lincoln NE, Siding Omaha NE, Vinyl Siding Contractor Lincoln NE on November 30, 2017 by Casey Nelson Exteriors. 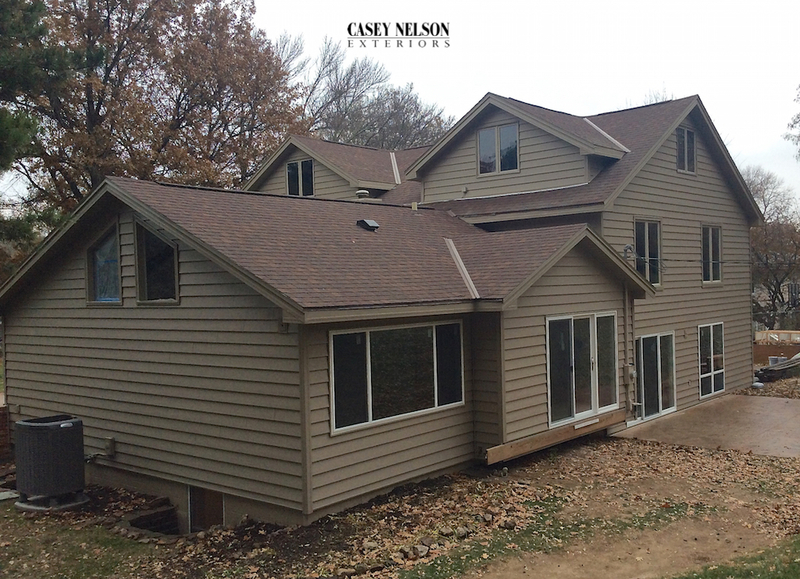 Mastic’s 16′ D6 Structure Siding in Pebblestone Clay was selected for this beautiful home. 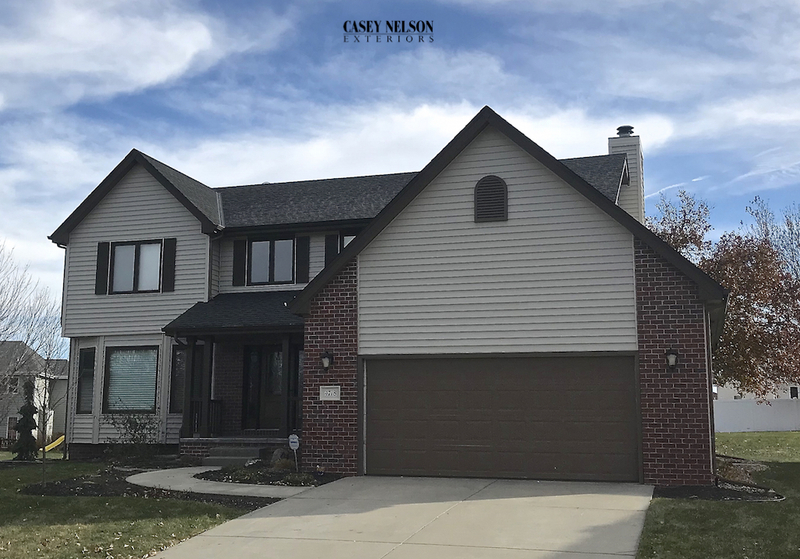 Add corners, wraps, soffit and fascia in Mastic’s White accessory products and you have a home with immediate eye appeal! 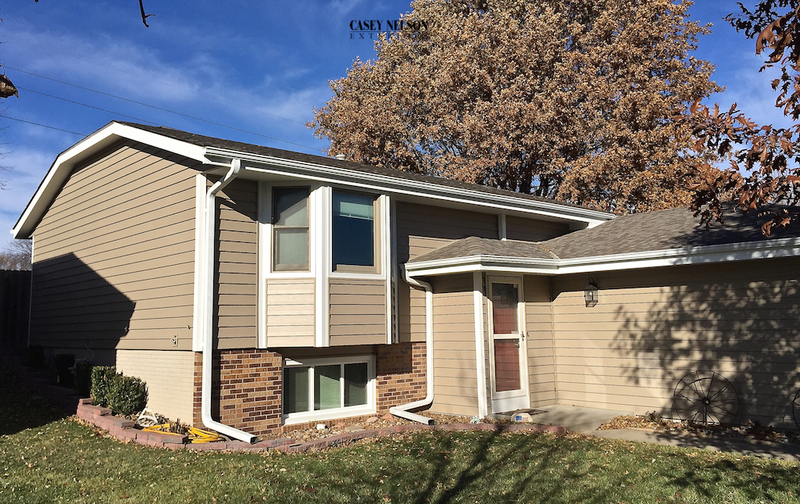 This entry was posted in Recent Projects and tagged Siding Contractor Lincoln NE, Siding Contractor Omaha NE, Siding Lincoln NE, Siding Omaha NE, Vinyl Siding Contractor Lincoln NE on November 27, 2017 by Casey Nelson Exteriors. 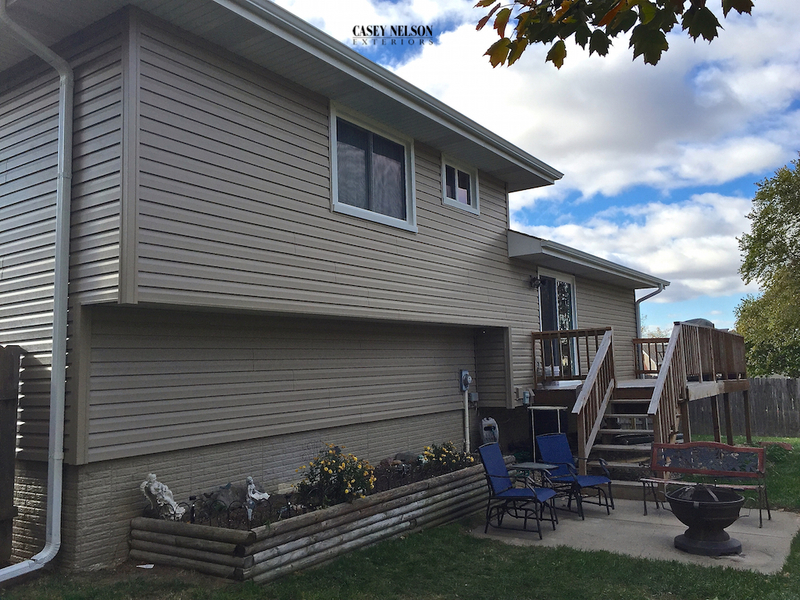 Mastic’s Ovation D4 Siding in Harbor Grey was selected by these homeowners. 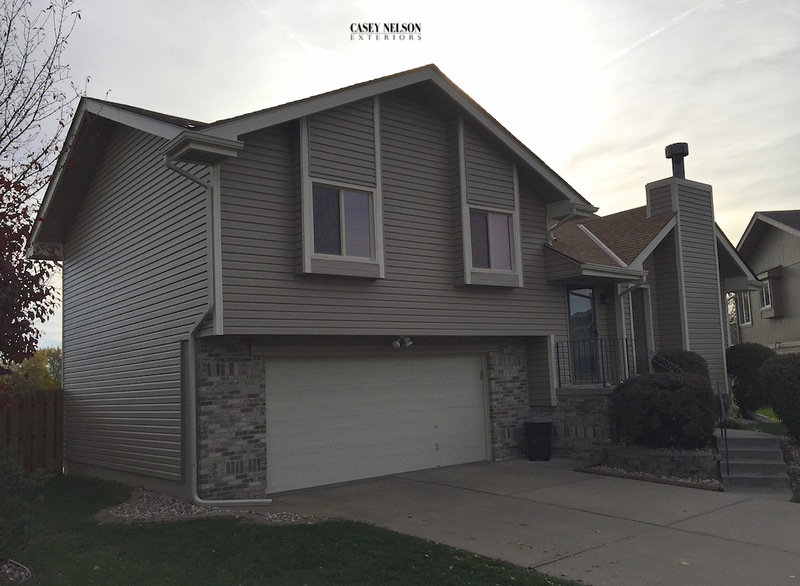 To add definition white corners, wrap, soffit and fascia were selected. 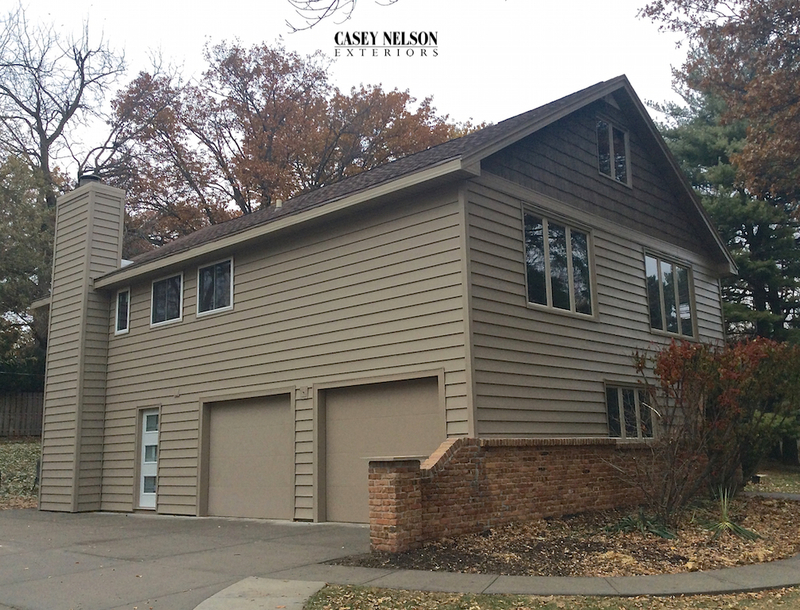 16′ Structure siding by Mastic in Pebblestone Clay makes this home a definite statement in their neighborhood! 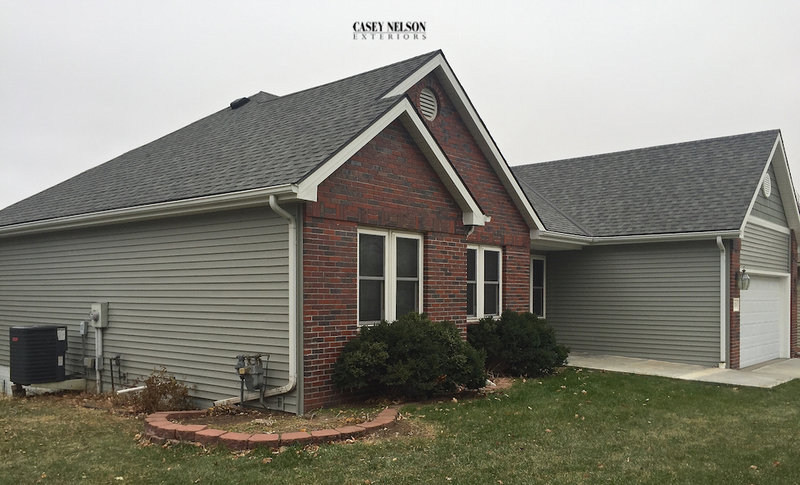 The home owners selected accessory pieces for wraps, vents, corners, soffit, fascia and porch ceiling in Pebblestone Clay. 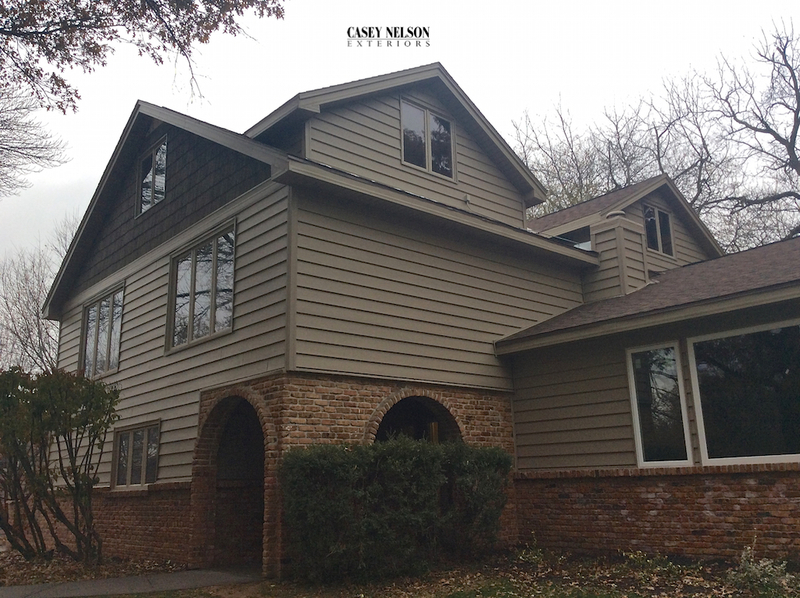 Final attention was given to the architectural detail of the home by adding Hand Split Cedar Shakes. 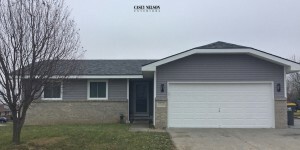 Driving by this home will cause you to stop and take a second look! 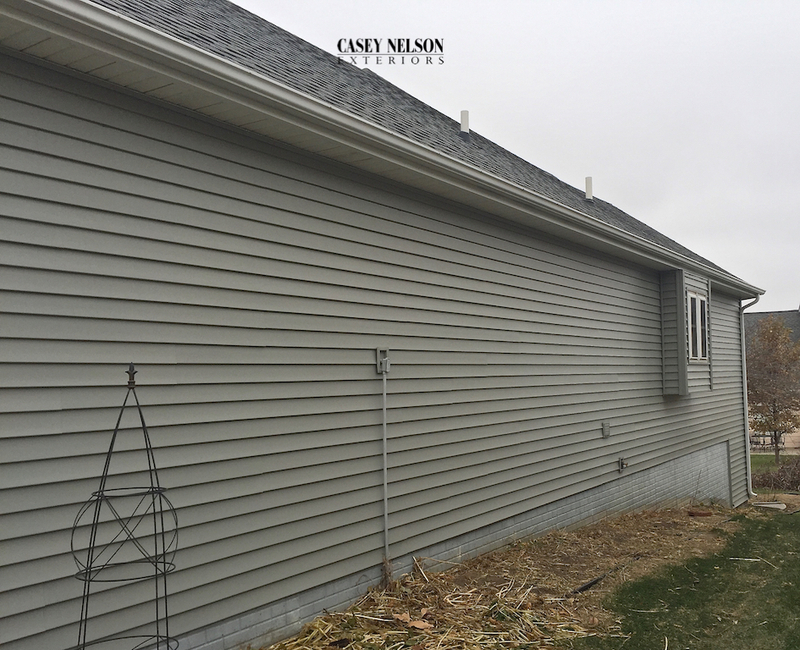 This entry was posted in Recent Projects and tagged Siding Contractor Lincoln NE, Siding Contractor Omaha NE, Siding Lincoln NE, Siding Omaha NE, Vinyl Siding Contractor Lincoln NE on November 22, 2017 by Casey Nelson Exteriors. 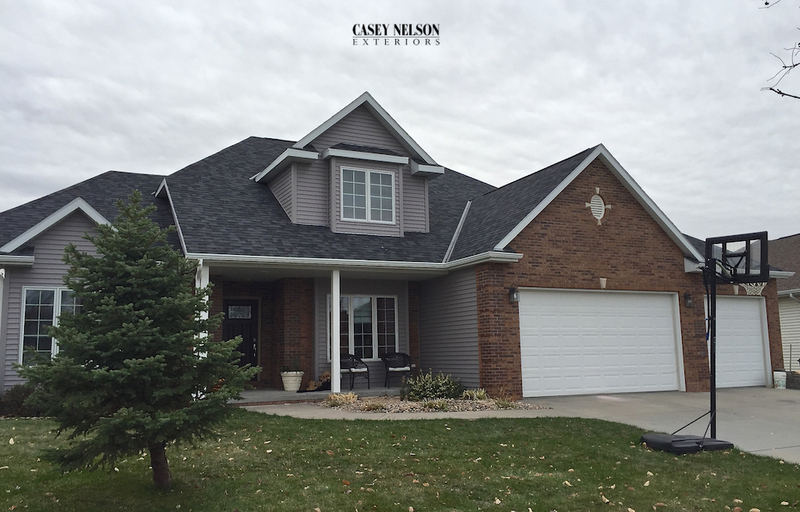 This beautiful home features Mastic’s D4 Ovation Siding in Scottish Thistle. 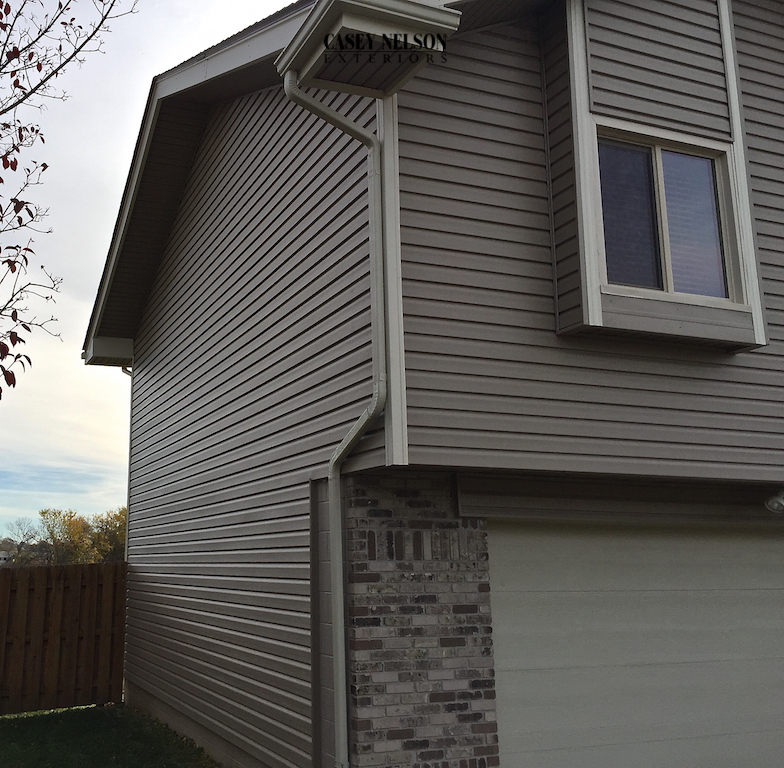 Mastics finishing pieces were also in Scottish Thistle including vents and corner pieces. 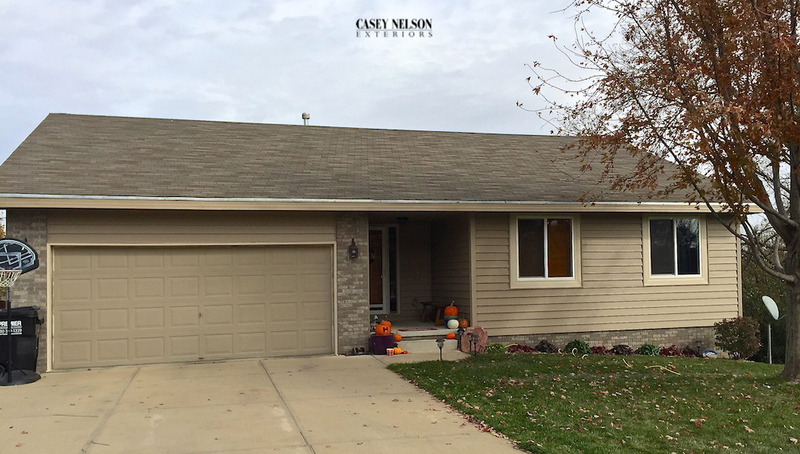 Quiet Willow 7″ Shakes were added above the garage to add architectural detail and interest. 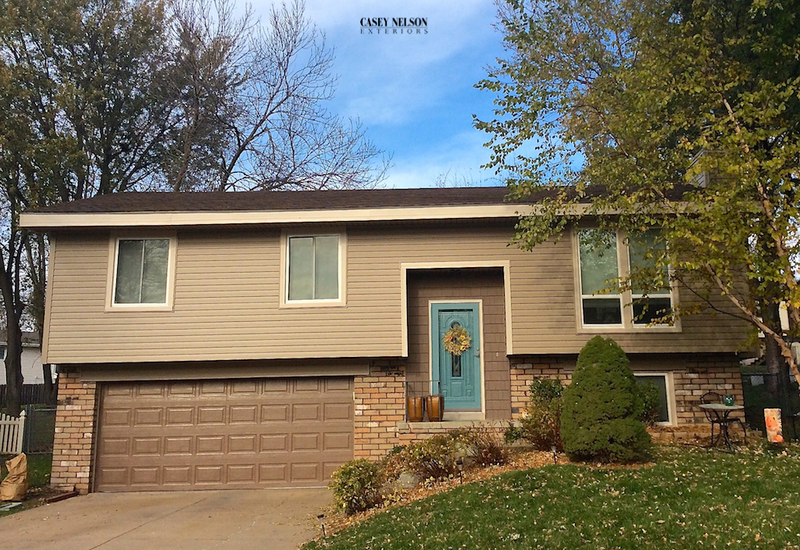 These beautiful homes are examples of use of color within the homes surroundings. 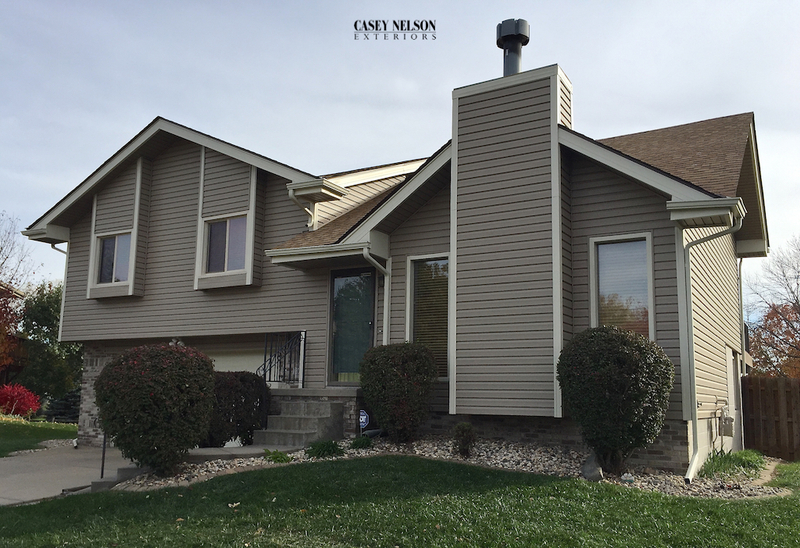 Homeowners selected Mastics Vinyl Siding Products to do their home remodels with. 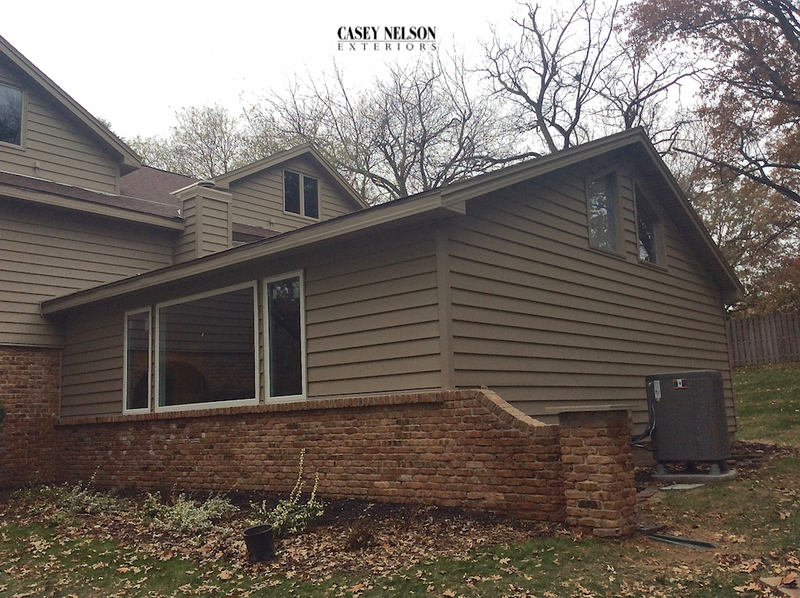 Whatever your style is, Mastic makes it possible. 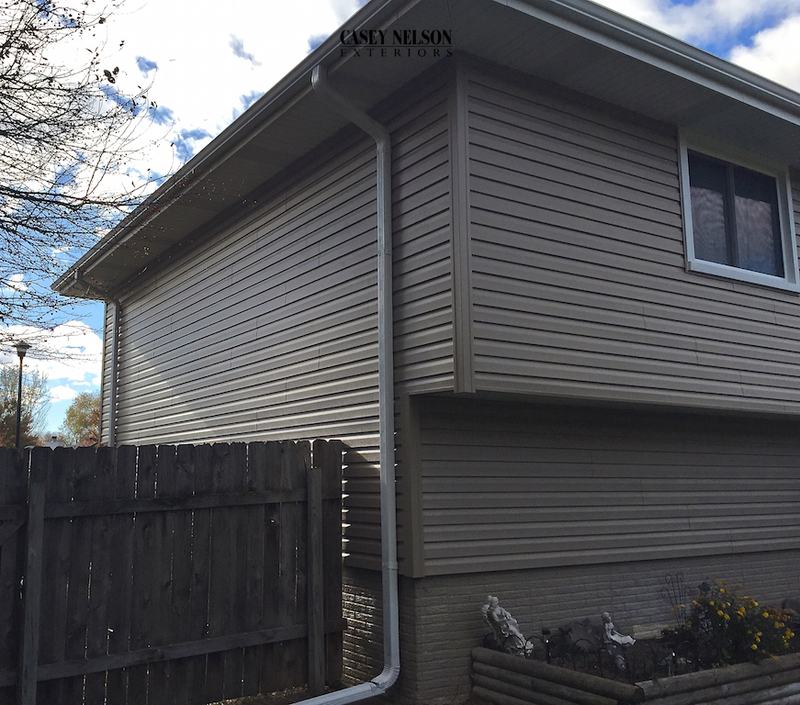 With Mastic vinyl siding, you get architectural design, personalized support and professional grade performance. 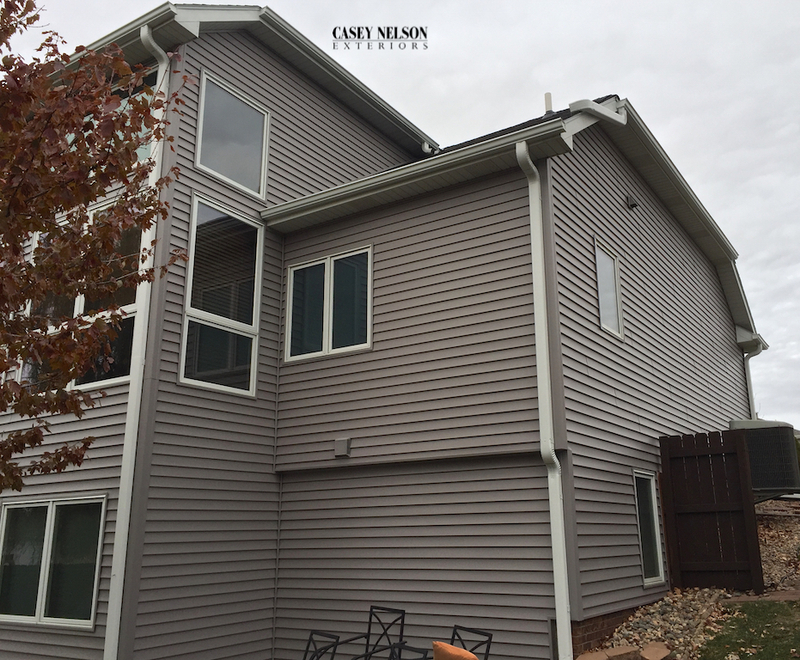 This entry was posted in Recent Projects and tagged Siding Contractor Lincoln NE, Siding Contractor Omaha NE, Siding Lincoln, Siding Omaha, Vinyl Siding Contractor Lincoln NE on November 10, 2017 by Casey Nelson Exteriors. 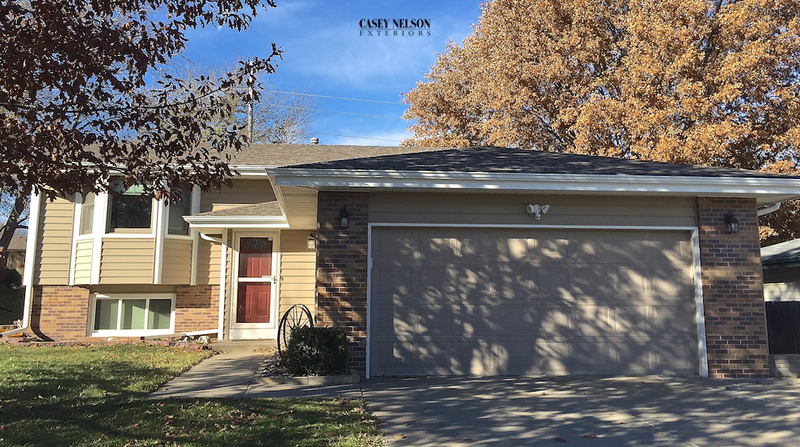 Homeowners today look for products that provide high performance, low maintenance, quality workmanship and definite curb appeal. 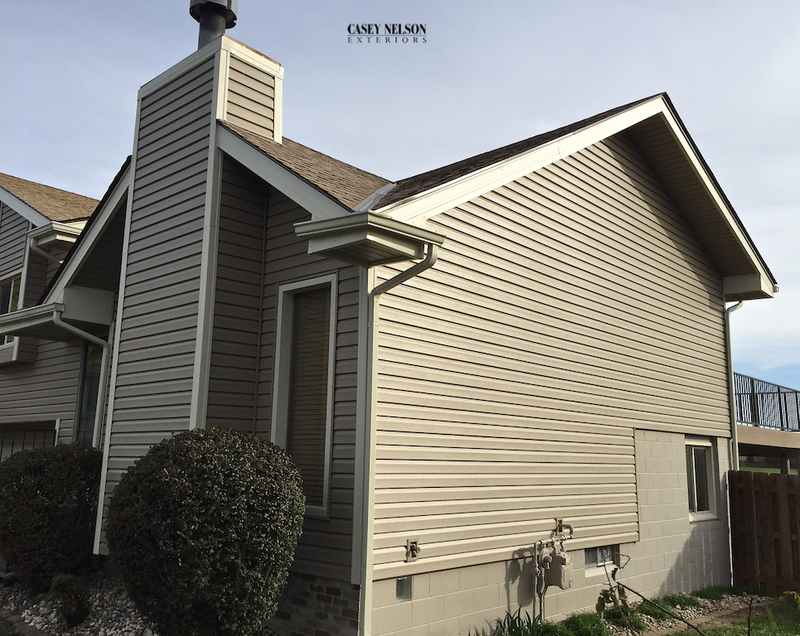 Vinyl siding is the most common home siding material used today. 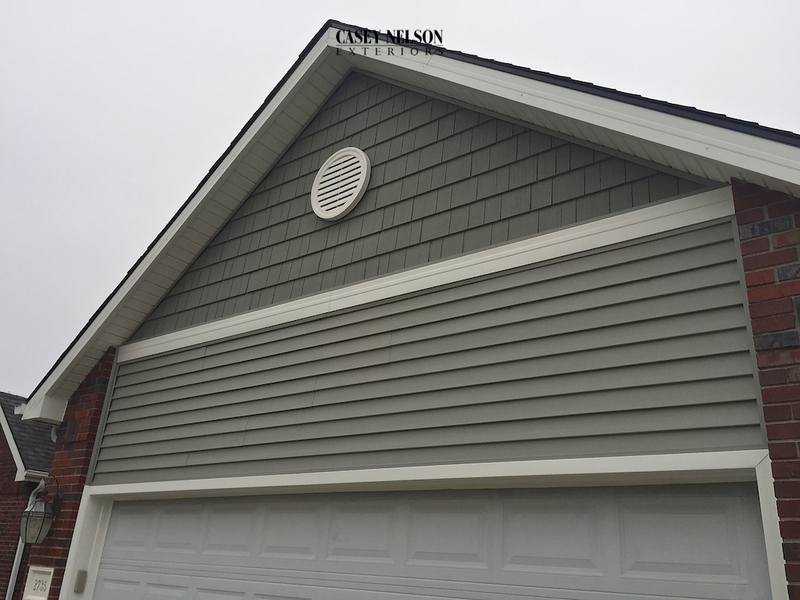 Vinyl siding is known for its low maintenance requirements, durability, versatility and relatively low cost. 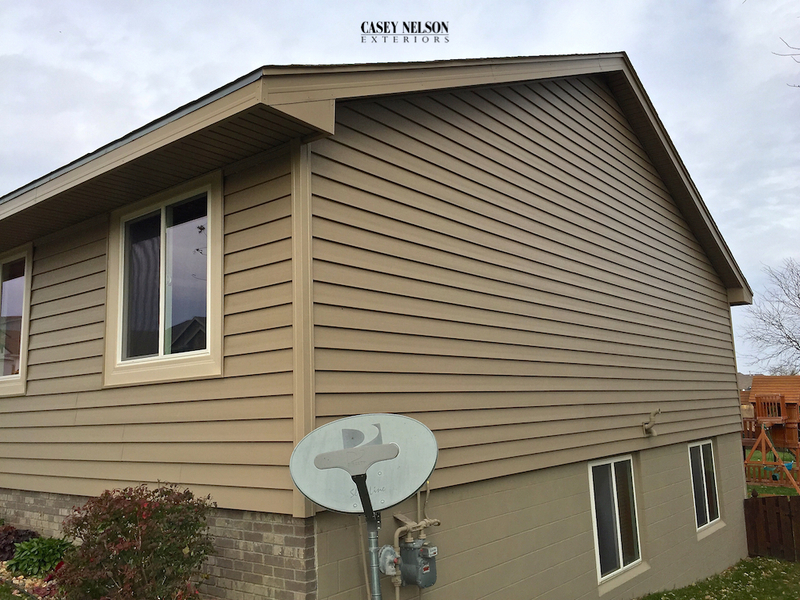 Vinyl siding will add to the overall curb appeal of you home. 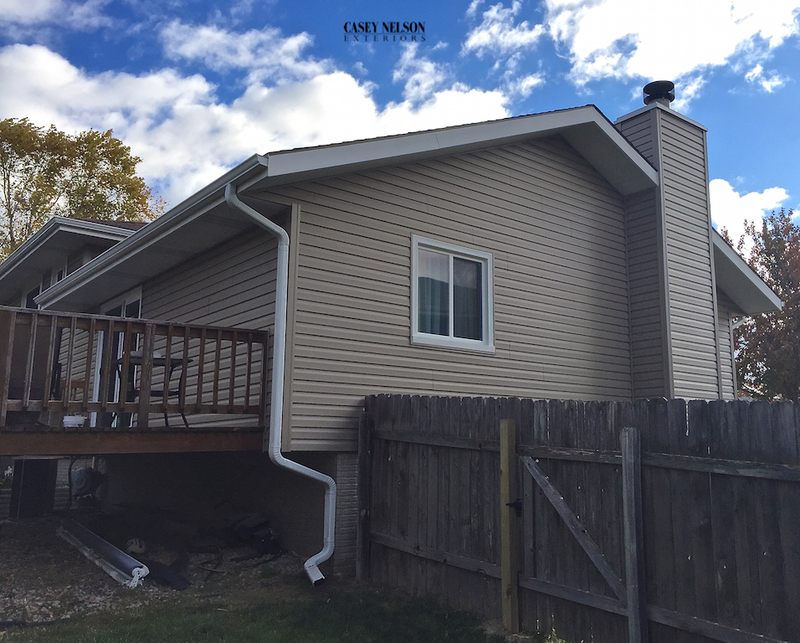 It comes in a variety of colors with the ability to be placed horizontally or vertically on your home. 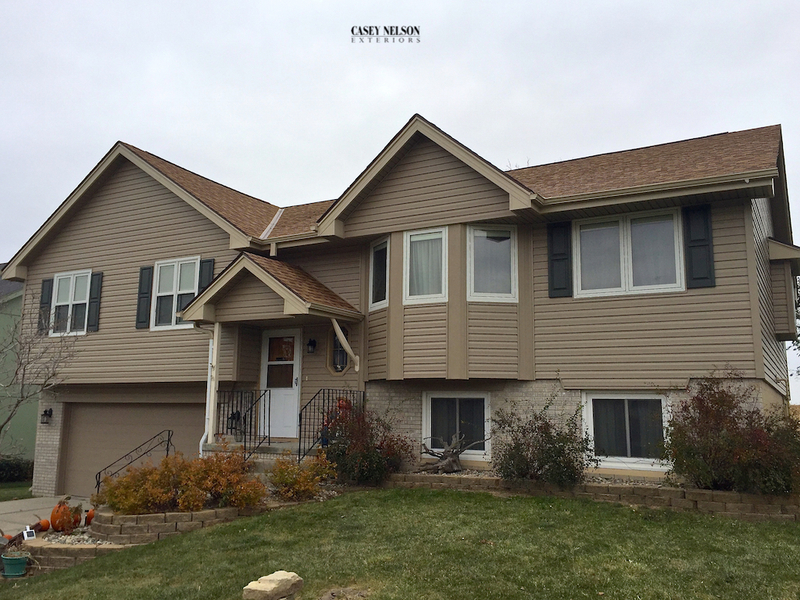 This beautiful home features Mastic D4 Horizontal Vinyl Siding in Harbor Grey. 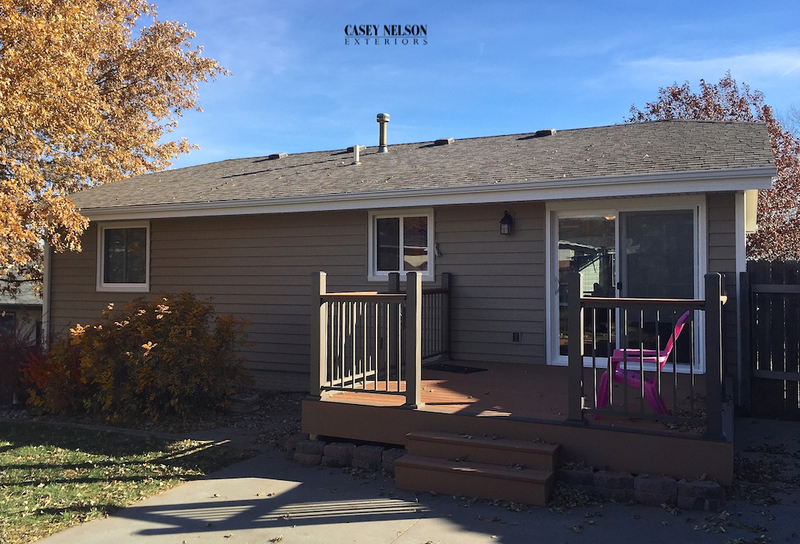 This entry was posted in Recent Projects and tagged Siding Contractor Lincoln NE, Siding Contractor Omaha NE, Siding Lincoln NE, Siding Omaha NE, Vinyl Siding Lincoln NE on November 2, 2017 by Casey Nelson Exteriors. Featured are two ranch style homes, which Casey Nelson Exteriors had the privilege to do exterior updating on. 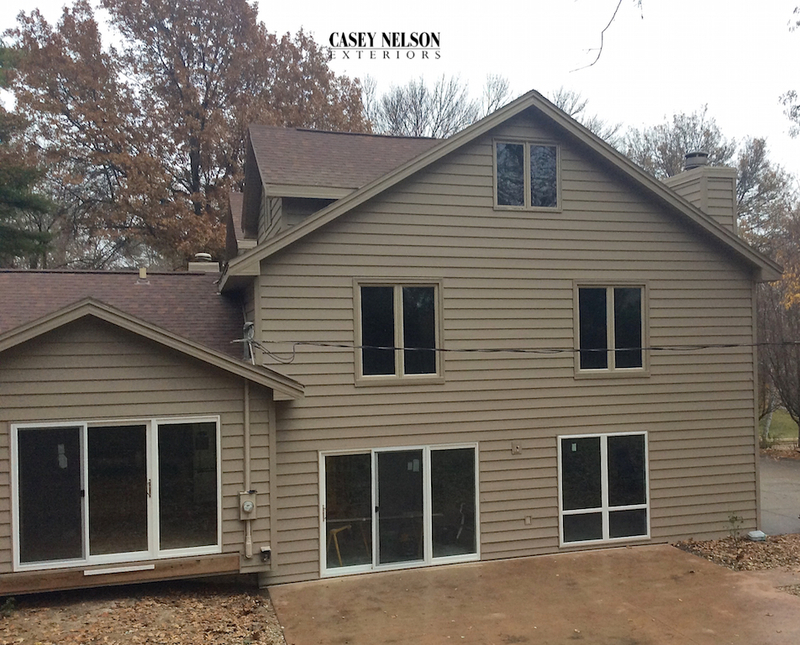 These homes feature Mastic Quest and Structure Siding. 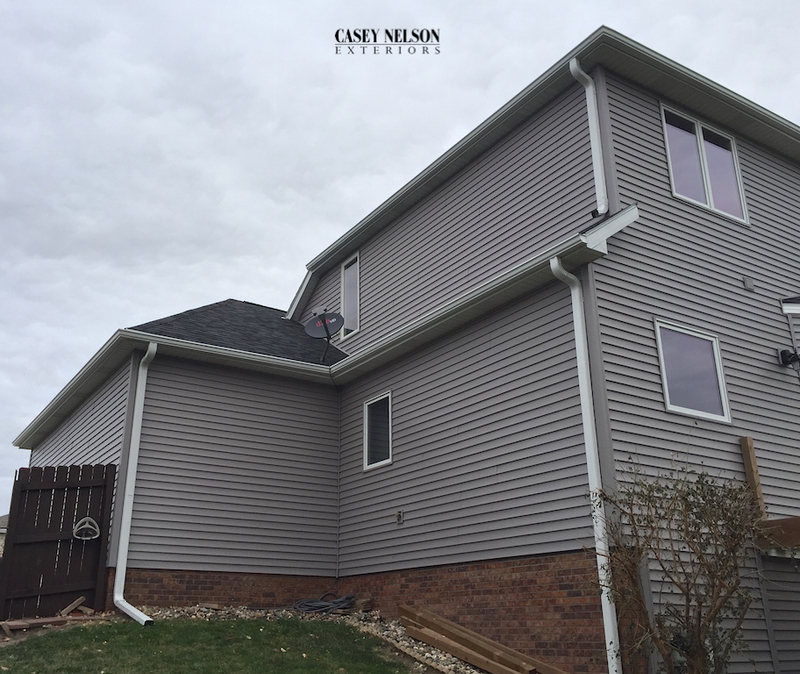 For years, Mastic has been the exterior product of choice of professionals who stake their reputation on the products they believe in. 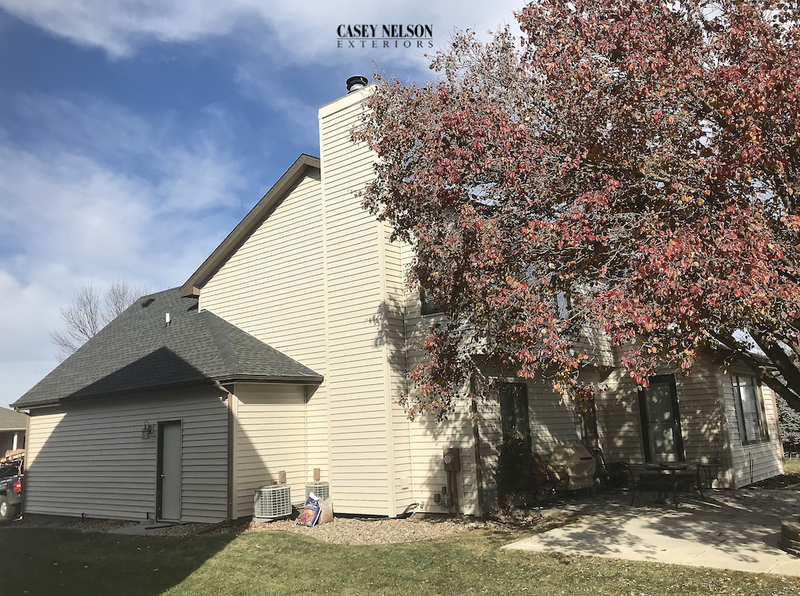 Professional remodelers, home improvement contractors and exterior design experts choose our high-quality products for a simple reason: Mastic products never let them — or their homeowners — down. 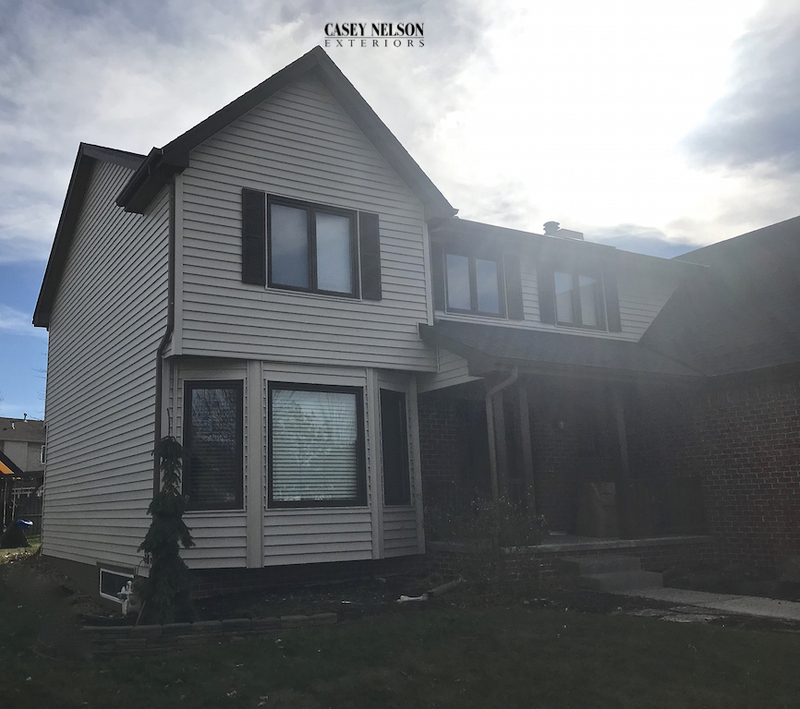 Generations of professional tradesmen have trusted Mastic to clad the homes they design and build. 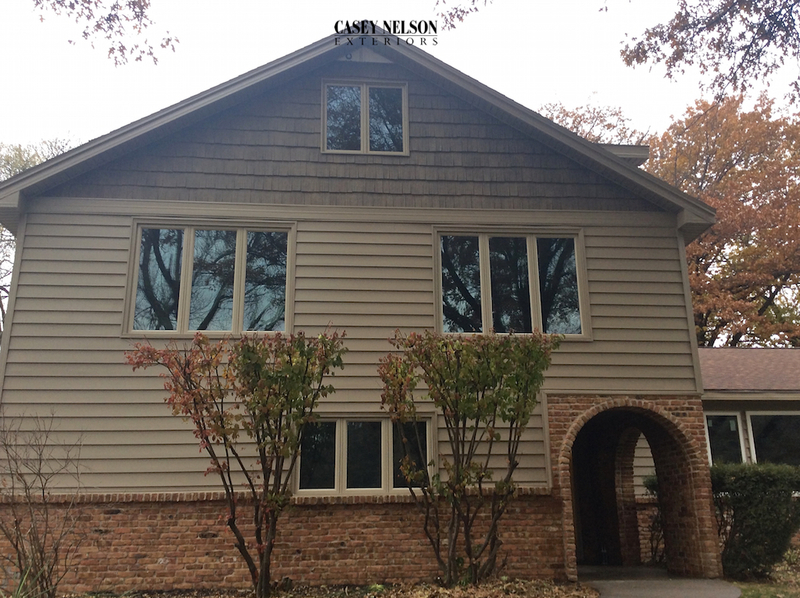 This home was finished in Mastic Home Exteriors Ovations Dutch Pebblestone Clay Siding. 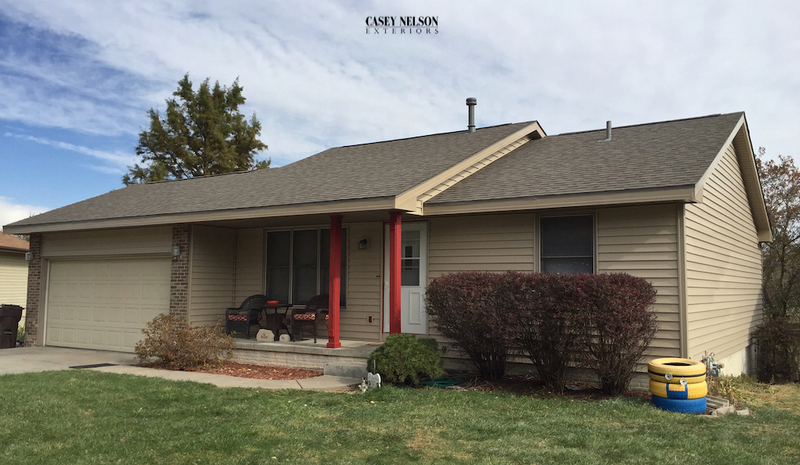 Detail was added to the architecture using white wrap and Raised Panel Shutters in Red. 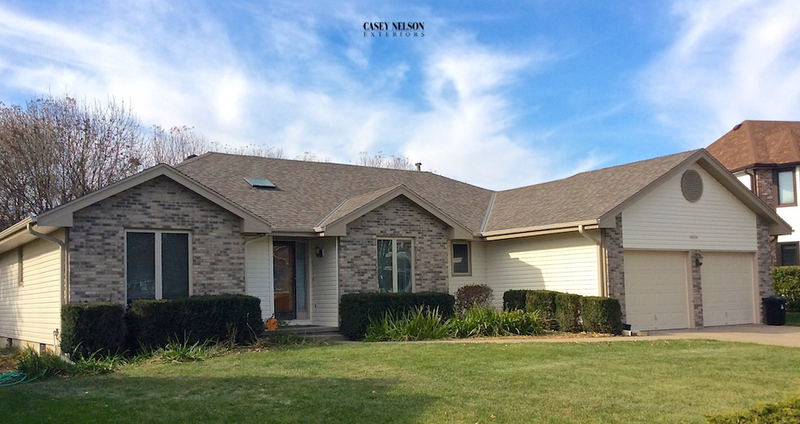 The overall effect compliments the brickwork of this beautiful home. 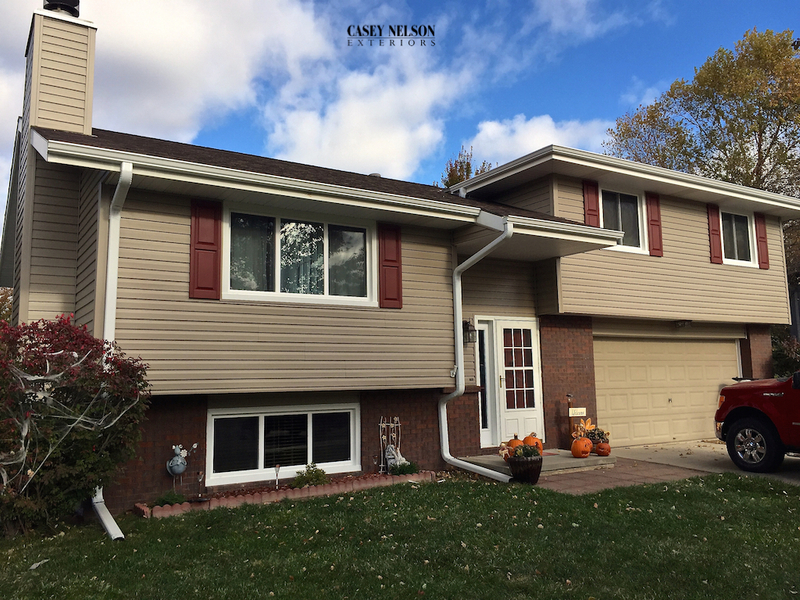 This entry was posted in Recent Projects and tagged Siding Contractor Lincoln NE, Siding Contractor Omaha NE, Siding Lincoln NE, Siding Omaha NE, Vinyl Siding Contractor Lincoln NE on November 1, 2017 by Casey Nelson Exteriors. 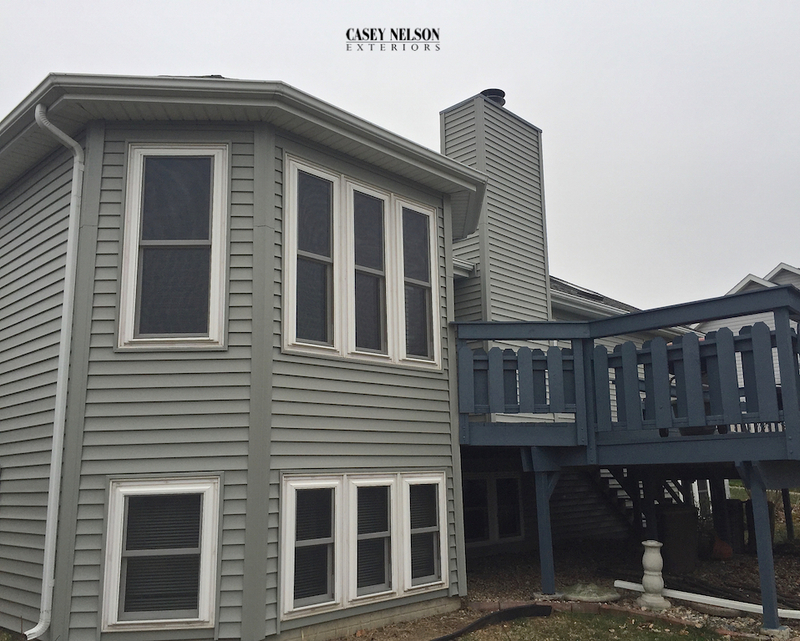 Mastic’s Quest Dutch Vinyl Siding in Pebblstone Clay was selected as the base color for this home’s renovation. 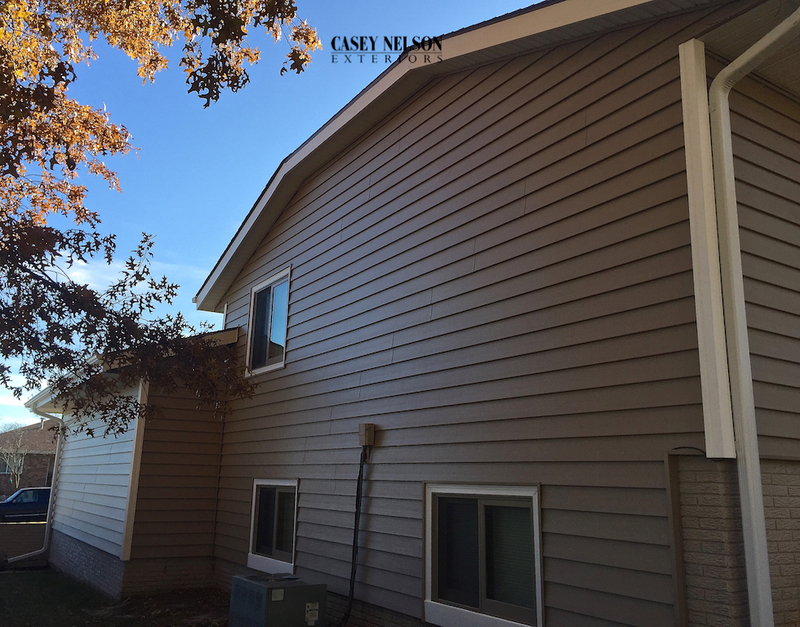 Almond fascia and corners provided the dramatic architectural contrast. 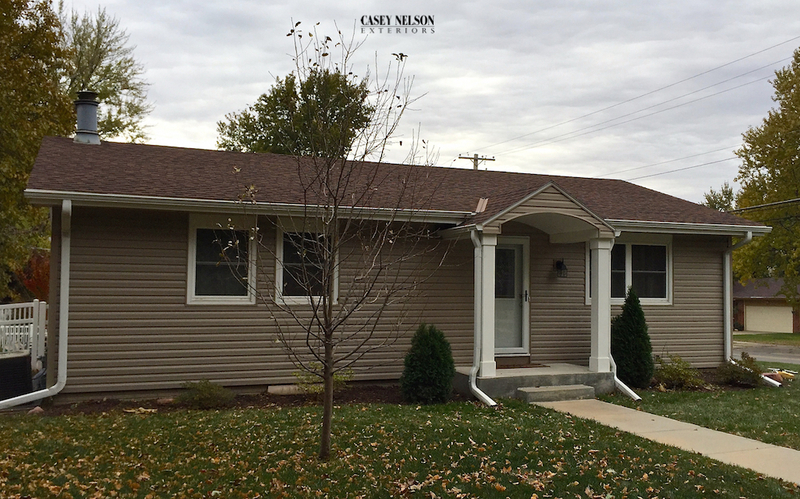 This entry was posted in Recent Projects and tagged Siding Contractor Lincoln NE, Siding Contractor Omaha NE, Siding Lincoln NE, Siding Omaha NE, Vinyl Siding Lincoln NE on November 1, 2017 by Casey Nelson Exteriors.